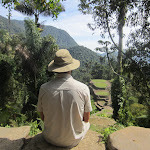 The Ciudad Perdida (Lost city) has an history interesting enough to make me hike for 5 days in the rain forest. And I never did an hike longer than few hours before in my life. 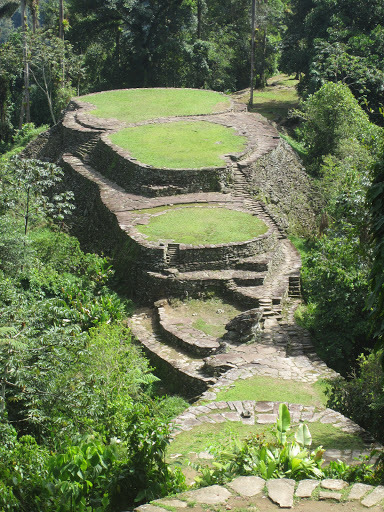 This pre-Colombian settlement of the Tayrona people, located in the Sierra Nevada Mountains surrounding the city of Santa Marta, Colombia, was unknown for more than 400 years. It was only in the 1970s that was discovered by accident by guacheros (grave robbers) looking for gold. 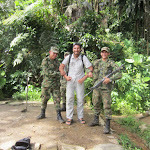 After the robbers, the government stepped in to protect and restore the place with an group of workers and archeologists… BUT the local tribes didn´t like to see more gold taken away (officially for the museum of Gold in Bogota´and Santa Marta) and a nice morning, weapons in their hands, decided to stop everything claiming their land back! 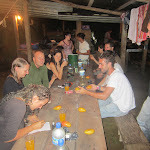 After Cartagena, I moved by bus to Santa Marta first and then the little hippie village of Taganga, where I left to Ciudad Perdida with a group of 12 people, including funny Claes that was with me already on the boat from Panama´:) Little backpackers world! 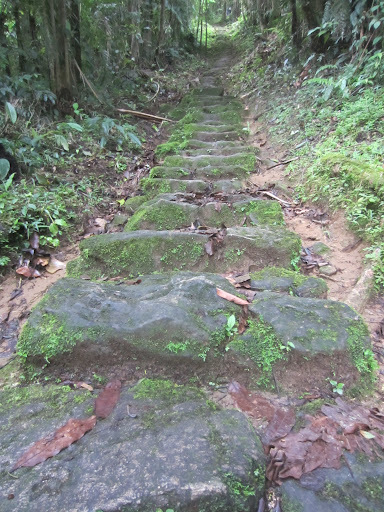 Hiking to Ciudad Perdida is pretty much a fight against the elements. 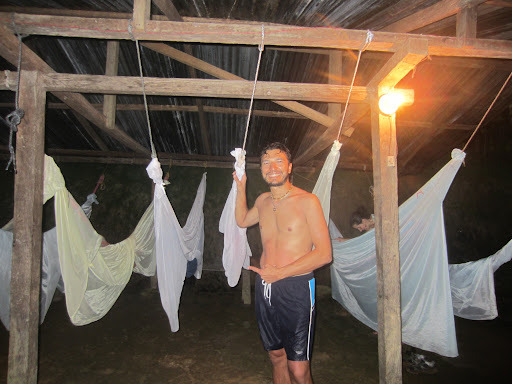 loads of nasty hungry mosquitos attacking you. No matter how much repellent you use, many will succeed! The tour operator tells everyone what to bring, I recommend to follow their advise, never the less I put here what worked for me. 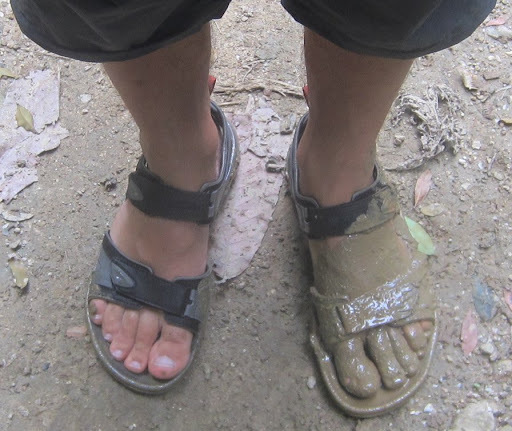 On the other side, my sandals didn´t provide the same grip as hiking shoes indeed. 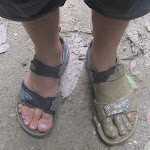 But if you´re planning to do it on sneakers or All-Stars (as many people I saw) then better to go sandals IMHO. 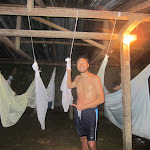 Insects repellent is a absolute must, even if you`ll think that doesn`t work! Quick dry clothes, avoid cotton and go for the oil products! 🙂 With that humidity, they give a little chance to be dumped instead of soaked in the morning! The itinery and even the path can change from tour to tour according to time of the year, weather conditions etc. So this is my experience but don`t expect that is the same always. 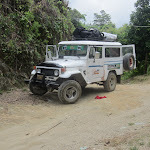 Everyone got picked up from his hostel and put in Jeep going towards Sierra Nevada. After 1 hour driving, a left turn leaded to another 1 hour very unpaved road up the mountain till a village called Machete Pelao. We all collected here for lunch and meeting the guides: Mr. Wilson and the funny Miguel. In about 3 hours we arrived to camp 1, soaked into sweat, where lovely hammocs where waiting for us… but first, a quick jump in the closeby natural swimming pool before dark: hat a beautiful place! A good diner and then cards. I was awaken by the first light in the valley. We arrived at destination (Camp 2) by 1pm ready for lunch and chillaxing the afternoon away. 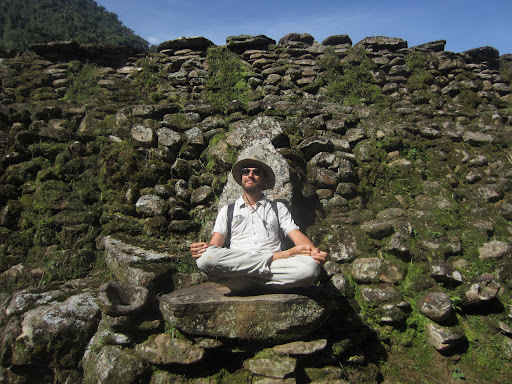 I debated about writing what happened next… but a blog about a travel experience doesn´t mean to be always fun, as well as every place doesn´t mean to be great. This is not Lonely Planet. Well, things turned ugly around 3pm, when under a strong rain we saw people arriving at the camp running and screaming… 2 people fell in the river during a crossing, sweeped away as the river level suddenly increased carrying plenty of angry water down the mountain… and the stubborn guide didn´t want to use the cable car. 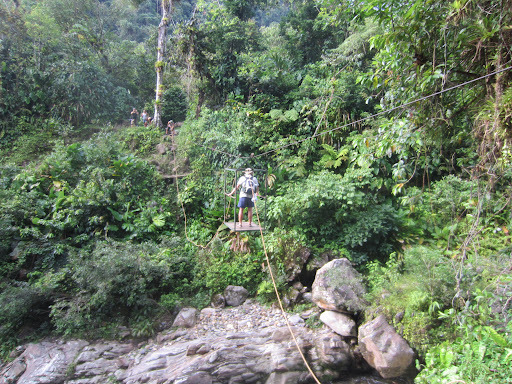 It was a very shocking moment, the guides run to the river trying to see if they could rescue them. Looking at the river, in his full power due to the heavy rain, with rough waters splashing on big rocks, I could only think that a tragedy just happened. The end of the story is very sad. The body of the second guy (French, 20y old) was found the day after a long way downstream. The guide disappeared after giving the alarm. 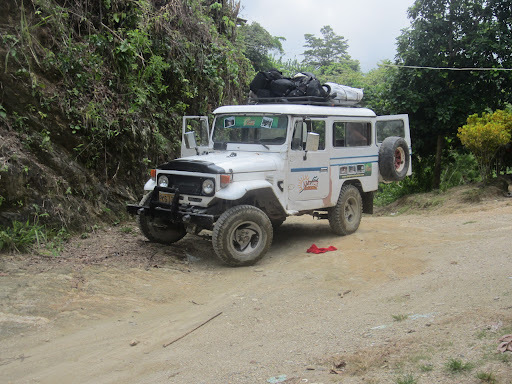 While this is the first time that a casualty happens here, this accident remembered everyone that in the Ciudad Perdida track there´s NO communication (only Camp 1 and the Ciudad Perdida has) and that NOTHING can be done at night and when the river is too strong to be crossed. It´s a relatively cheap experience with little security coming with it. The evening of day 2 was as you can imagine sad for everyone in our group. 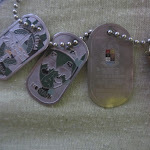 We did play cards and talk, but knowing that someone was missing was constantly in our minds. Another very early wake up and then we started our hike, where one hour later we had to cross the river where the accident of the previous day happened. 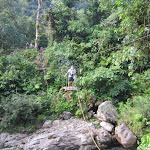 Our guides knew we were all nervous and they make us cross the river using the cable car (a thrilling ride!). We crossed the river more times that day. We then continue our hike across dead and alive snakes till Camp 3. 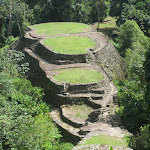 Camp 3 is the last one before the Ciudad Perdida, and is presidiated by militars. 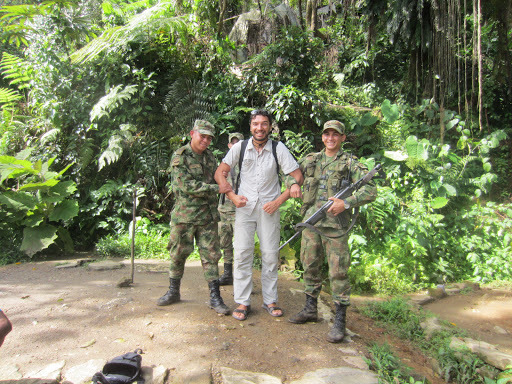 18-20 years old boys serving the country, ready to have a laugh with the tourists and exchange some Colombian army gadget for some normal life gadget (MP3 players were high on their wish list). We had been awaken even earlier than the usual early wake up. 5am! 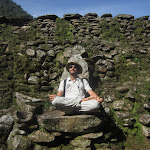 But this is our big day, our time to be up to Ciudad Perdida! 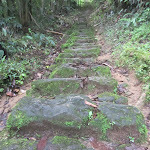 From Camp 3 to the top there is only 1km… and a climb of 1200 stone steps! We forgot about them as soon as we made it to the first terrace. 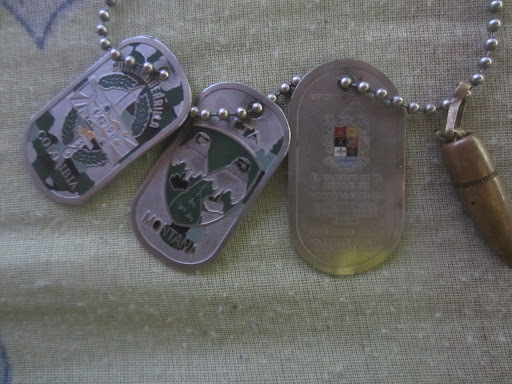 And them the second, and the third one. Wilson was explaining everything about the place and its history. Everything was set for a great final, going all the way down to starting point. A few hours walking down. 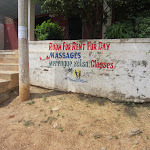 With few guys we realized that walking at a good pace is far less tiring than walking slow. Great! So we started proceding at a good rhythm… so good, that I soon found myself literally running after them, making the sandals straps more tied not to loose them. Run here, run there, I eventually fell on the ground screaming in pain. I knew well what happened… I had a damage in a ligament when I was 20, during my previous motocross life. Since then I had couple of times this problem over-extending the leg, but in the last 10 years I have been skiing, skating, running a marathon, kite surfing without a problem with the knee, till day 5 of Ciudad Perdida track! The thing goes like this: the acute pain disappear soon, then “I think I can walk”, then the knee starts swelling and I can`t do anything for few days till the swell is gone. So I spent the last 2 hours of the itinerary on a horse walking down the mountain. 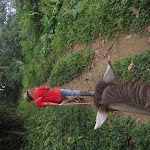 First time on a horse for me, pretty scary at first as the horse just didn`t want to proceed unless the campesino (the owner of the horse) would not hit her or pull her. 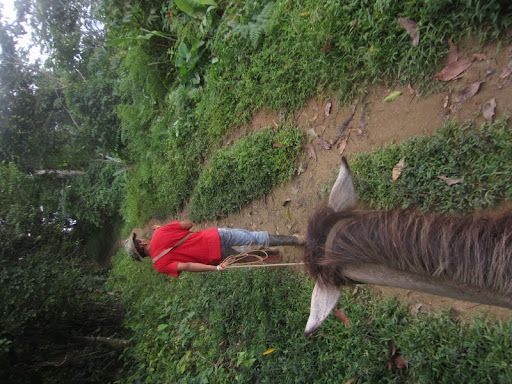 We were moving like in a little family: a dog in front, then the campesino pulling the horse with me on it, and behind a little pony, the horse daughter. 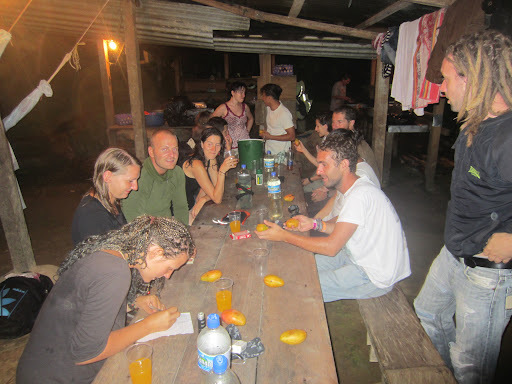 When we arrived at destination, the houses of the little village of Machete Pelao were blasting music on the streets like crazy: Salsa, Vallenato, Champeta, Merengue, seems that people here have nothing but huge sound systems, ready for the Sunday parties! 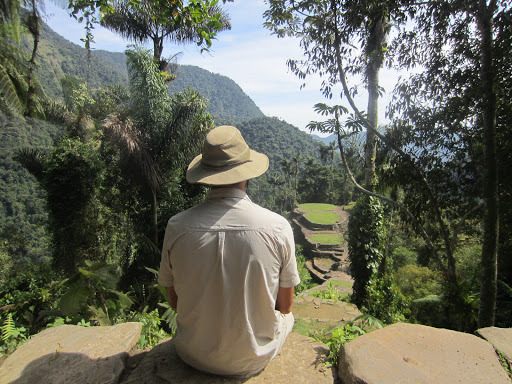 I cross this happy town on the horse, with everyone looking at me and it felt some sort of “walk of shame” for people that didn`t make it on their own on Ciudad Perdida. I waited there the rest of the group, we had lunch and the last laugh before the 2 hours jeep trip back to Taganga. 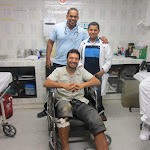 With my surp ise and relieve, Colombian hospitals “Firts Aid” work better than in both Italy and Holland. In no time I was visited by a doctor and sent for an X-ray. Imagine my surprise to hear merengue music in the X-ray room! 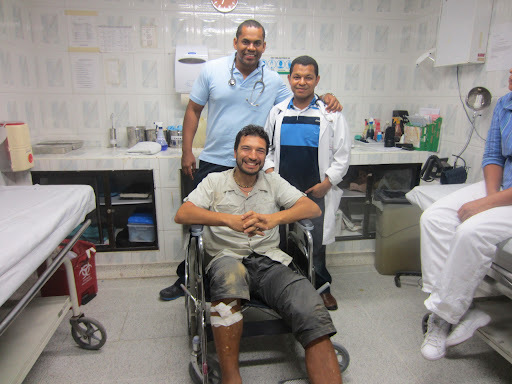 Of course nothing was broken and the visit concluded with a bandage and a picture all together.